In the Tasmanian Devil Ark, is the largest conservation breeding program for the Tasmanian devil, and a much needed one, considering how their numbers are continuing to plummet dramatically. Cute little devils, aren’t they? 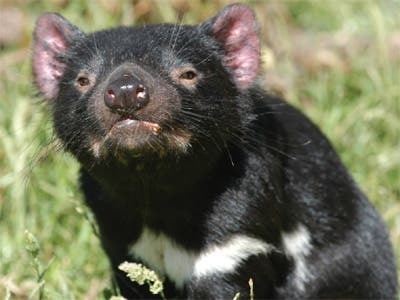 Tasmanian devils are having the fight of their lives against Devil Facial Tumour Disease (DFTD), a transmissible cancer – the worst kind of diseases, and so far, they aren’t doing so well. Since DFTD was discovered in 1996, population has dropped by over 85 percent. While a little pessimistic, this is quite a good explanation of what tasmanian devils are going through; they still have a fighting chance, but against a disease so fantastically cruel, it is a slim one at most. 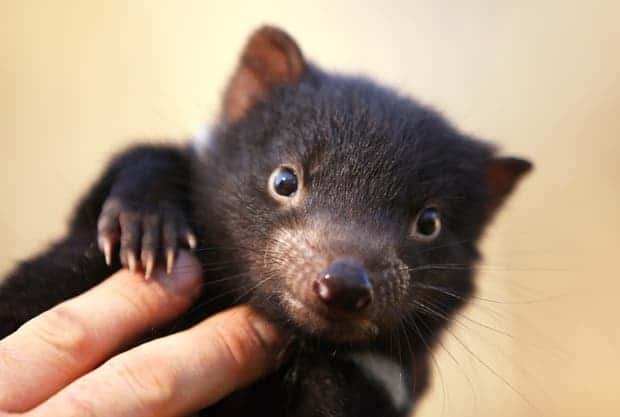 The infectious tumor kills practically any tasmanian devil it infects, natural immunity is only about 10 percent, and every effort to stop or even slow down the disease has failed miserably. Still, there is hope, thanks to an unexpected development: when the disease hit a new, Western population, less devils died, and the ones that did die lived a lot longer; also, some of them started developing antibodies – something that hadn’t previously happened. But still, scientists are reserved and prospects are pretty bleak. This is why the devil ark has been founded: to breed large numbers of devils in a protected environment, similar to their natural habitat, and release them in the wild after the disease has finished its destructive course. It’s practically an insurance for the species – and so far, things are going pretty good. “The way we determine our success is by the number of females that breed [rather than by the number of joeys each produces] because we want as much representation from our females as possible,” he says. “The other important thing we do is try to replicate a wild-type scenario so the Tasmanian devils don’t lose their wild traits,” he says. So the little devils have a fighting chance; let’s just hope that if they can’t win it on their own, humanity will step in and give them another chance, instead of taking the one they had, like we usually do.